Why another Grand Slam? Because Merica. Remember when Derek got a Grand Slam just a couple weeks back? Well, another of the Skinny Water Culture ambassadors did it just a few days ago. This time, it was on a SUP. 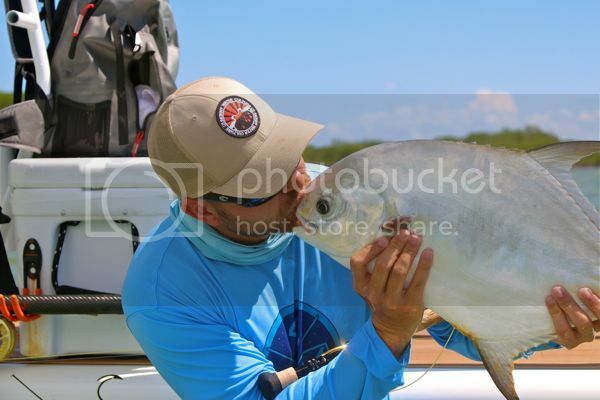 Chris documented his FL Grand Slam on the Skinny Water Culture blog. A couple years ago I was in the Miami airport on my way somewhere fishy and I posted that on the blog’s facebook page. I got a message saying “You in MIA? Me too. Where are you?” It was from Chris and so he and I met in the concourse of MIA and talked bonefish for a bit before one of us had to head off somewhere else. It was great to see him get hooked up with the SWC folks and to really come to embrace and rock his new Florida home (he’s originally from Texas). So, congrats Chris, on your SUP Grand Slam. That’s just awesome. This entry was posted on Wednesday, October 2nd, 2013 at 3:31 am	and is filed under Locations. You can follow any comments to this entry through the RSS 2.0 feed. You can leave a comment, or trackback from your own site.